An honors program is oftentimes associated with high achievements and academic standards. If you have decided to apply for such a program, then you have probably already checked the requirements, haven’t you? Amongst all other things, you must submit an application essay. As it is with many other application essays, this one has as its main goal to demonstrate your ambition, your view on your own career, your personal needs and interests, and more generally, show your uniqueness. Do not forget, however, that you are applying for an honors college, and not for a job, etc. Thus, you need to show excellent academic skills and competences, amongst which excellent grammar and style as well as logical and consistent structure of the essay. 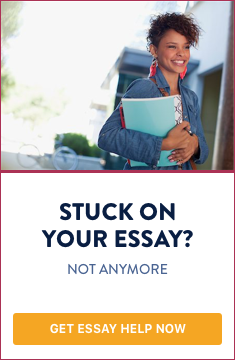 The main goals of an honors application essay are to demonstrate your ambition, your view on your own career, your personal needs and interests, and more generally, show your uniqueness. The following instructions will give you some useful hints on how to write an honors application essay. You should follow these principles, but not verbatim. Every essay has its own style, so be ready to show yourself. You must know where you are going and what you are pursuing. Check not only the website of the college, but also some internet opinions and comments. Do you need to enter this program? Is it the right institution for you? What kind of career you would like to pursue from now on? Ask someone who has graduated from this college. Unfortunately, you will not be given any chance to choose a topic by yourself. In this sense, you should follow the topic and scope of the essay very strictly, without going astray. What are your needs and interests? Why have you chosen this program and particular college? How the honors program will help you develop yourself in professional and personal respect? How will you contribute to the academic environment in the particular college? Why should the committee approve your application? Besides, you have to show some confidence as long as you really possess important academic and other skills and competences. The best way to keep this balance is to use long, well-elaborated sentences which will demonstrate that you know what to do with your life, and that you are a reflective person. And every researcher should be good at that. 2. Do not go too far from your main focus: the particular topic. Do not tell stories about your family background, school life, favorite writers or actors, and so forth. 3. Do not employ mundane language, i.e. words and phrases which you would rather use while speaking with your friends or relatives. Keep the academic standard of your work. 4. Do not copy and paste passages from your CV or school transcripts. The admission committee does not need to read them twice. 5. Do not write emotionally, meaning that you have to avoid metaphors, allegories, expressions and phrases which are too artistic. Writing an honors application essay seems to be a rather difficult task, so never think you will pass through this stage easily. Inform yourself about the possibilities that the particular program will give you, about the application procedure and the deadlines. Thus, you will be able to prepare yourself in the best way, provided that you take your task seriously.